EU Casinos ++ GET European Online Casino Bonuses + Free Spins! EU Casino - Find a Top European Online Casino! When it comes to identity and ownership, the gaming authority wants to know who the applicant is, whether they own the online casino and if they don’t, who does and how does the applicant fit into the corporate structure. Besides that, one will look at the integrity of the applicant and other individuals involved with the application process, and verify if they are trustworthy and honest. As part of this, it will be checked, whether the applicant and others linked to the online casino, have a criminal record. Furthermore, the gaming authority will review the level of competence of the applicant and others involved; are the necessary skills and experience in place to successfully and transparently run an online casino? The applicant also needs to submit their financial statements to verify if the necessary funds are available to run an online casino. Both the UK Gambling Commission and the Malta Gaming Authority issue different licenses, like remote gaming, bingo, and remote betting with fixed odds licenses. An online casino needs to get all licenses that apply to its offered services. The UK Gambling Commission issues six different licenses, while the Malta Gaming Authority provides four types of permits. If an online casino wants to operate with an EU license, it needs to have a responsible gaming program in place. This program has the aim to help players manage their online gambling activity, which can include deposit, bet and loss limit the player can apply on their account. This means, that there are maximum amounts a player can deposit, wager or lose on a daily or weekly basis. Besides these limits, the player can set an exclusion period to her or his account, during which they won’t be able to deposit or wager any money. Once a license has been issued, the gaming authorities continue to monitor an online casino’s activity to ensure continued compliance. As the application process for and monitoring after getting an EU license is so strict, online casinos with a license issued by either the Malta Gaming Authority or the UK Gambling Commission – or both- are considered the safest, securest and most transparent and reliable in the world. 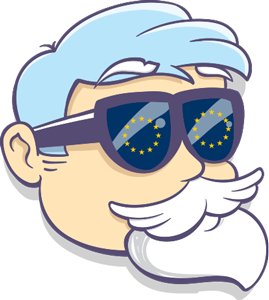 If this is important to you, make sure to browse the EU online casinos category here at Casino Professor to find an online casino with an EU gaming license.